This Electric Insurance Health Insurance Company Review explores Beverly, Massachusetts-based Electric Insurance Company. 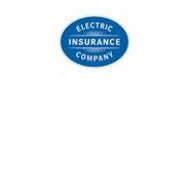 Electric Insurance Company was started in 1927 in order to provide workers’ comp benefits to the employees of General Electric Company. The company added personal insurance lines in 1996. By 2003, Electric Insurance Company opened its doors to the general public. In 2011, about half of Electric Insurance Company’s policyholders have no affiliation with General Electric. If you’re thinking about changing health insurance carriers, compare your current health insurance rates with comparative health insurance quotes—start the process by typing in your zip code now! Continue reading about Electric Insurance Company to identify whether the company’s products and services match your health insurance needs. The company insures approximately 130,000 people in all 50 states. The company employs about 550 people at their headquarters. Electric Insurance Company also underwrites commercial insurance for GE. The company has some Canadian and European Union clients but focuses on domestic property & casualty insurance lines. Elm Insurance Company of Montpelier, Vermont is authorized to market some Electric Insurance Company products and services. Contact Elm Insurance Company at +1-802-229-5042. Current GE employees receive additional discounts to purchase insurance coverage from Electric Insurance Company. In addition, GE employees may pay for their insurance plans by authorizing payroll deductions. Employees also receive discounts on a number of unrelated to insurance products and services as clients of Electric Insurance Company. GE employees may refer friends and relatives to Electric Insurance Company. According to Dun & Bradstreet, Electric Insurance Company generated annual sales of approximately $412.4 million in fiscal year 2010. The company derived $25.48 million in annual net income that year. Electric Insurance Company uses a network of independent insurance agents and brokers to market and sell insurance products and services. The company also uses direct marketing and Internet advertising to identify new customer relationships. According to the company’s website, 99% of clients with the experience of submitting a claim to the insurance company had a positive experience. Electric Insurance Company’s website proclaims the company’s commitment to customer service. Customers may call the customer service hotline toll-free (+1-800-342-5342) to report a claim around the clock on any day of the year. In the example of placing an auto insurance claim, an insurance adjuster takes the initial claim report and fills out an incident report. The next steps include taking the damaged vehicle for a repair estimate. Electric Insurance Company then issues a settlement check, less the insured’s deductible. The insured then takes his auto to the repair shop. Inspection after repairs is allowable at the client’s option. Home insurance claims are submitted to the same claims service number. Electric Insurance Company uses a national network of independent insurance agents and brokers. Insurance agents interested in selling Electric Insurance Company’s products and services must receive prior approval by the company. The company pays out commissions to members of its authorized independent agent and broker network. Interested agents may submit a resume and cover letter through the company’s online employment portal. According to the company website, students and recent graduates may also find opportunities for employment offered from time to time. Economics, mathematics, finance, accounting, or statistics majors may have an interest in the company’s analyst development program. Graduates of the program train for positions in data and financial analysis. Information technology or computer science graduates may have an interest in training for careers in the company’s information services division. Enter your zip code to request health insurance quotes now!